“Your greatest contribution to the kingdom of God may not be something you do, but someone you raise” Andy Stanley. When we think about hurt caused by ministry, we often focus on the pastor and his family directly without realizing that their roots run so much deeper. We have all heard the statement that “behind every great man there is a great woman” which can be true, but also incomplete. Behind every great man there might be a great woman, but behind every great leader, there is, in some form, a great family. Not all of us have supportive or even good biological families. Somewhere along the path of life though, we find a support system that becomes very much like a family. In my case I have been blessed with a strong support system within my biological family. Something that many of us take for granted and the vast majority of us don’t even think about is the weight and depth of pain that is felt within these support systems as they stand behind their children in the field of ministry. I have often taken for granted the support system that my parents choose to be; celebrating every victory and sopping up the blood from the wounds of every blow. They have been our cheering section and our medics. They have breathed life into us and they have set us straight when we’ve gotten ahead of ourselves. They have hurt deeply for us in ways that no one sees or hears about because they keep our confidence under lock and key. They are often left standing in the middle of hundreds of church peers with no ears to hear or hearts to understand because they cannot share the burdens they hold for us. Our little family recently walked through one of the hardest times we’ve ever experienced. Unfair, wrong, painful and agonizing are words that don’t even begin to sum up the blows we’ve taken. In the wake of all the emotional disaster my dad sent me a text that simply said, “How ya holding up little girl?” I said, “Not very well.” We don’t talk on the phone a whole lot because honestly, neither of us like voice calls. He responded with, “Need to talk?” I said “I don’t think I could find words even if I wanted to.” He said, “Whitney, just talk to Jesus.” I sat there and stared at his words on my phone for a long time before typing out one of the most lost and hopeless text messages I’ve ever sent. I said, “Dad, I can’t find him.” What followed was the best advice anyone could have given me. He said, “That’s ok! Just say his name. Say it over and over again. That’s all you need. Just say his name.” For days that’s what my hours consisted of. Just one word. Jesus! Jesus! Jesus! Over and over again like a broken record with complete restorative power. My mom has been the voice on the other end of the phone that has listened as I have cried when nothing else but gulps for air were audible. She just sat there and cried too and when the sobs would settle she would remind me that God’s so much bigger than the pain with which Satan was attempting to sift my family. For both of them, it doesn’t matter where they are in the middle of their busy lives, they have never ceased to drop everything and drive whatever amount of miles was required to simply be with us in the middle of a crisis. 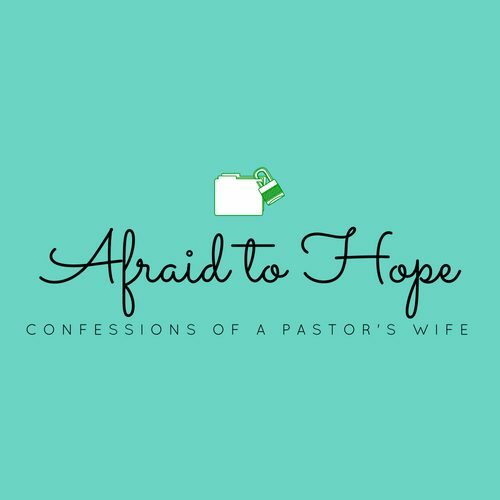 The past few months have been no different and as I have sat and reflected on this blog series, it became very apparent to me the depth of pain that ministerial families feel as they support their loved ones in this vocation. Their lives are spent covering us in prayer, holding our arms up when we are tired and lying next to us while we hemorrhage the disappointment and hurt this life brings with it. With this realization I have asked my precious mom, Jackie Dunaway, to write about what she experiences as the lay parent of 3 grown children each of whom is in vocational ministry. She and my dad have a very specific calling and they live it out well. We could not do what we do without them and the truth is, they have been the spiritual family to many pastors over the years. They don’t do it for recognition or reward. The truth is, it’s caused them more pain than pleasure but I know on the other side of heaven there will be thunderous applause for all the lives they’ve impacted by giving selflessly to ministry families for decades. Thank you that you guys continually raise pastors. You raised me literally and continue to raise up my family in prayer, support, and encouragement! “Thank you” will never be adequate, but none the less I am exceedingly grateful. I was asked what it’s like to be a parent of grown children called to full time ministry. The truth is, it really feels like being called myself. What greater calling is there than to be used to rescue people from an eternity in hell or to walk someone through such hurt that they aren’t sure they can go on. But it definitely comes with a price and toll. It’s heavy, it’s lonely, it’s an on-going battle between heaven and hell, and sometimes I just want to tell my kids to throw in the towel and run. Every wonderful thing that God does through them Satan is there to try and undo through someone he has strategically placed in the church. Then there are the pastors, men whom you’ve loved, prayed for, worked alongside and supported, who decide their agenda is greater than God’s. They basically throw your children under the bus with lies and deceptions to protect or further themselves. Being hurt by those you considered to be your own is like a knife being stuck in your heart and twisted. A part of your soul ripped out because they have been such a close part of your spiritual family. If I didn’t believe this quote from A. W. Tozer, “While it looks like things are out of control, behind the scenes there is a God who hasn’t surrendered his authority,” or, the scripture in Ephesians 6:12, that says, “For we wrestle not against flesh and blood, but against principalities, against powers, against the rulers of the darkness of this world, against spiritual wickedness in high places,” I’m not sure I would have the heart to continue. So, I will continue praying for, crying with and being a listening ear. Basically I will keep on keeping on waiting to hear those words, “Well done my good and faithful servant.” As hard as it is sometimes, honestly there’s no other life I’d rather live, cause I’d rather champion or place I’d rather be than at the feet of my sweet Jesus! Thank you for sharing these moments in ministry. They ring true for so many of us.